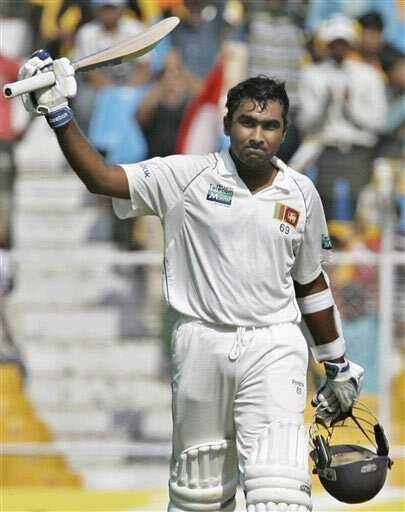 day 615: Mahela Jayawardene won’t pay your bills. Why take sports heroes so seriously? One of the senior fellows of the Sri-Lankan cricket team is ending his 17-years career in Test-cricket, and it has created a lot of ’emotions’, as if this is a real concern for our very existence. Time for a reality check, I mean this is like living in a virtual reality, where all our attention/focus is on this one guy, the whole island is celebrating his achievements over the years. Shame, when we have so many day-to-day problems in the country, like sky-rocketing cost of living etc, we are kept occupied by the sports heroes and their so-called retirements. I mean how on earth would his retirement (not to mention all the millions he made playing cricket) going to fix national problems, other than creating topics for conversations, whereas those very conversations should be about fixing the country to a place that is Best for All. Sports heroes also give perfect escape/excuses for politicians, even if the whole country goes to hell, as long as there are cricket matches and cricket heroes, nobody really cares, because everyone is focused on the game, the heroes and so on. So this week, the country is on suspend animation because of Mahela Jayawardene’s retirement. Too many new articles of praises and glorification of this guy, as if he is a saint of something. I mean WTF. Entertainment, good-feelings are what he gave us through his class act of being a great cricketer. Cool appreciate his service to entertain us, but don’t’ ignore the real problems in the country, I mean playing cricket is a thing for fun, we don’t’ exist on this earth to play cricket, or to be obsessed by sports and its heroes. Where is responsibility? I forgive myself that I have accepted and allowed myself to be obsessed with sports and sports heroes. I forgive myself that I have accepted and allowed myself to ‘mourn’ the retirement of a celebratory sportsman, pouring out emotions and feelings because this one guy hanging up his boots. Meanwhile the country is going to the dogs everyday, and nobody is talking about it. I forgive myself that I have accepted and allowed myself to worship sports heroes. I forgive myself that I have accepted and allowed myself to look upto and admire sports heroes, not seeing/realizing all they have provided is entertainment, while the country is still bogged down in severe social and economic problems without any solutions in sight. I forgive myself that I have accepted and allowed myself to feel-high when my heroes score well in the games. Not seeing/realizing all I am looking for is “FEELINGS”. I forgive myself that I have accepted and allowed myself to not see/realize sports heroes are nothing but distractions, as the masses are kept busy with the games. Within this I see/realize I am part of the problem, because I allow myself to participate in this sports hero-worship nonsense. I forgive myself that I have accepted and allowed myself to not see/realize addiction to feelings, the desire to feel good, is the root problem, because within this I am addicted to the feelings of victory and ‘my country is winning’ the game etc. what if I am from the other country? My feelings would change, as nationalism changes. Within this I see/realize we created sports heroes to make us feel good. So what’s the solution: anytime there is a ‘feeling-good’ feeling is connected to a sportsman or sports, I stop, I breathe and not allow such emotional churn within me (positive or negative). Also when the so-called heroes don’t’ perform as expected to make us feel good, we quickly turn them into villains, and/or replace them. Sports heroes are like disposable gods, they only last as long as they can produce good feelings within us. You can enjoy sports for its artistry and mastery, but the moment it’s creating warm fuzzy feelings inside, PROBLEM. As long as you’re consumed by good feelings and obsessed by sports, and its heroes, everything is cool, you’re a cool citizen, but if you ask questions about the system, about the country, about the unfolding hell on earth, then, you’re a party popper, “they want you fall asleep”, and sports heroes will assist you greatly in it. Certainly, Mahela Jayawardene wont’ be paying your bills, though he is loaded with millions. Remember, our day-to-day problems are only mounting, and no hero insight to fix those. Time to take responsibility, time to end apathy. You’re the hero you have been waiting for you. Previous Postday 614: The power is you, not depressionNext Postday 616: find solutions, create solutions.